Currency Converter: U.S. dollar - approx. 4.67Argentine peso - approx. 66Australian dollar - approx. 6.03Bahamian dollar - approx. 4.67Brazilian real - approx. 16.82CFA franc - approx. 2,708CFP franc - approx. 493Chilean peso - approx. 3,105Chinese renminbi - approx. 30.27Colombian peso - approx. 14,028Croatian kuna - approx. 31.00Czech Republic koruna - approx. 112Danish krone - approx. 30.72East Caribbean dollar - approx. 12.57European Euro - approx. 4.13Fiji dollar - approx. 9.65Ghanaian cedi - approx. 17.90Guatemalan quetzal - approx. 36.79Honduran lempira - approx. 105Hong Kong dollar - approx. 36.25Hungarian forint - approx. 1,285Icelandic krona - approx. 579Indian rupee - approx. 311Indonesian rupiah - approx. 61,753Israeli new shekel - approx. 17.65Jamaican dollar - approx. 570Japanese yen - approx. 509Malaysian ringgit - approx. 18.36Mexican peso - approx. 82Moroccan dirham - approx. 45.21Myanmar kyat - approx. 5,495Neth. Antilles guilder - approx. 8.32New Zealand dollar - approx. 6.73Norwegian krone - approx. 38.40Pakistan rupee - approx. 490Panamanian balboa - approx. 4.67Peruvian new sol - approx. 15.30Philippine peso - approx. 216Polish zloty - approx. 17.80Romanian new leu - approx. 18.48Russian ruble - approx. 310Serbian dinar - approx. 508Singapore dollar - approx. 6.32South African rand - approx. 68South Korean won - approx. 5,353Sri Lanka rupee - approx. 679Swedish krona - approx. 37.96Swiss franc - approx. 4.50Taiwanese new dollar - approx. 151Thai baht - approx. 164Trinidad and Tobago dollar - approx. 30.84Tunisian dinar - approx. 9.40Turkish lira - approx. 13.29U.A.E. dirham - approx. 17.17U.K. pound sterling - approx. 3.27Venezuelan bolivar fuerte - approx. 46.72Vietnamese dong - approx. 105,088 * Exchange rates shown above are estimates only, and may vary slightly from the rates charged by PayPal or your Credit Card Company. Calvin's Silicone Lube for Speed Cubing, High Viscosity, 2ml is enough lube for about fourteen 3x3x3 cubes. 2. Lube the friction area of plastic pieces - add little lubricant to one edge, then scramble the cubes. 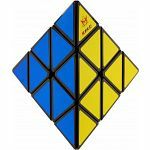 If you only complete the second step, this will improve your cubes turning greatly. If you finish both steps, your cube will have almost no friction. The bottles have been sealed to prevent leakage during shipping. 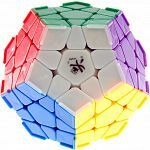 People who purchased Calvin's Silicone Lube for Speed Cubing - High Viscosity (2ml) also purchased the following puzzles.